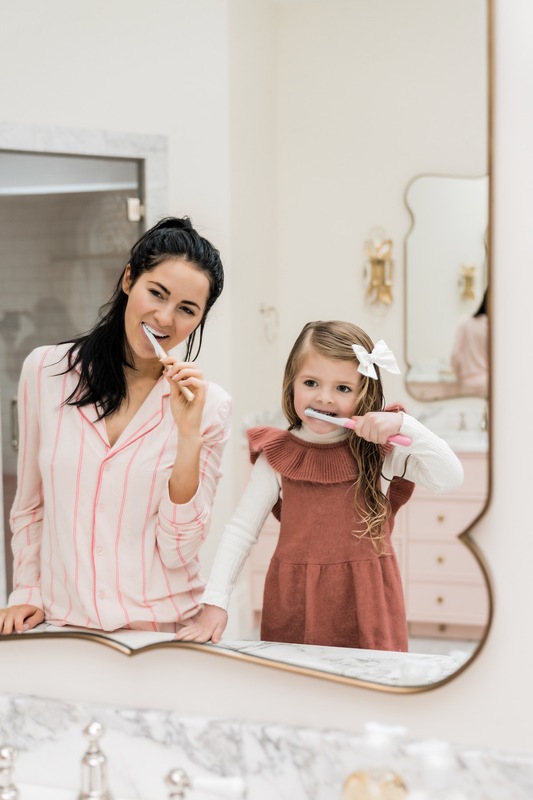 I am sure that I can relate to many moms out there when I say that it can be SO hard to get your kids to want to brush their teeth! It seems like most mornings and nights it’s a struggle at our house. 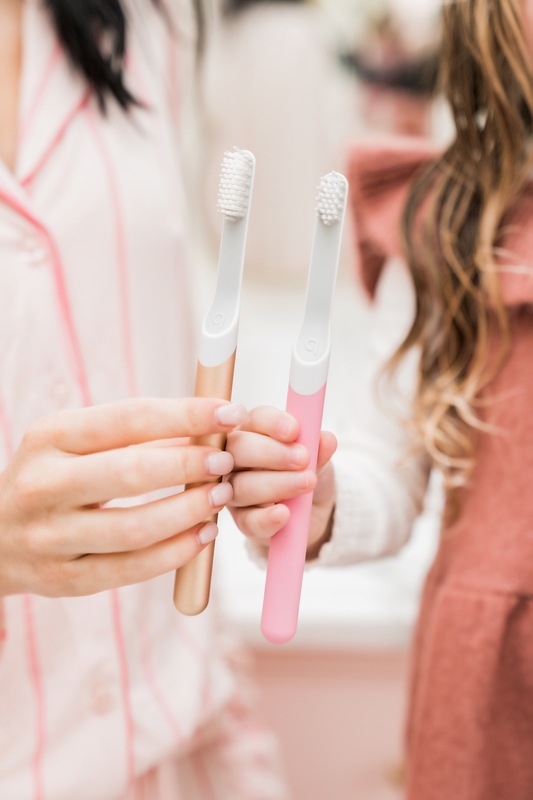 We got some new electric toothbrushes from quip a few weeks ago and I have been so excited to share this product with you ladies because it has helped in this department – the kids are actually excited about brushing their teeth now! The kids toothbrushes are identical to the adult version and it makes my kids so happy to have a toothbrush exactly like mom and dad. We all brush at the same time and they love feeling like they are just like us! Oral hygiene is so important to me and I want it to be something that my kids love and take pride in as well. So I was really excited when quip reached out to partner. 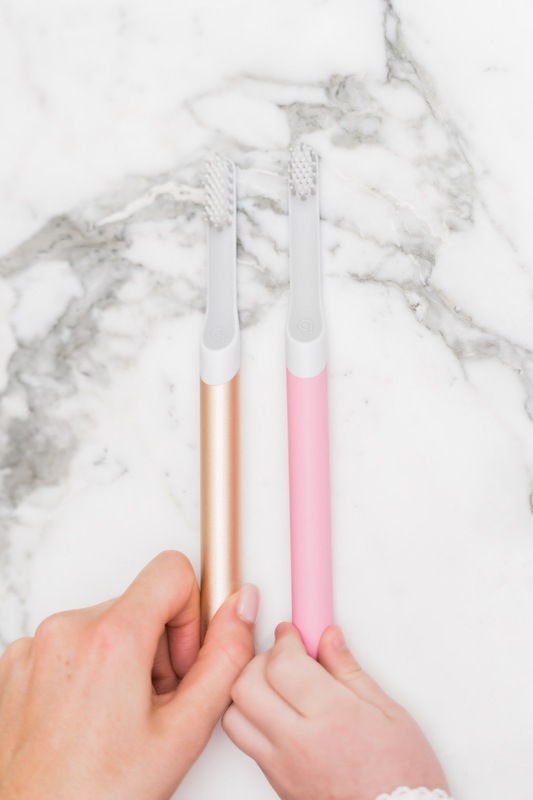 quip has come up with a sleek electric toothbrush that’s also effective! 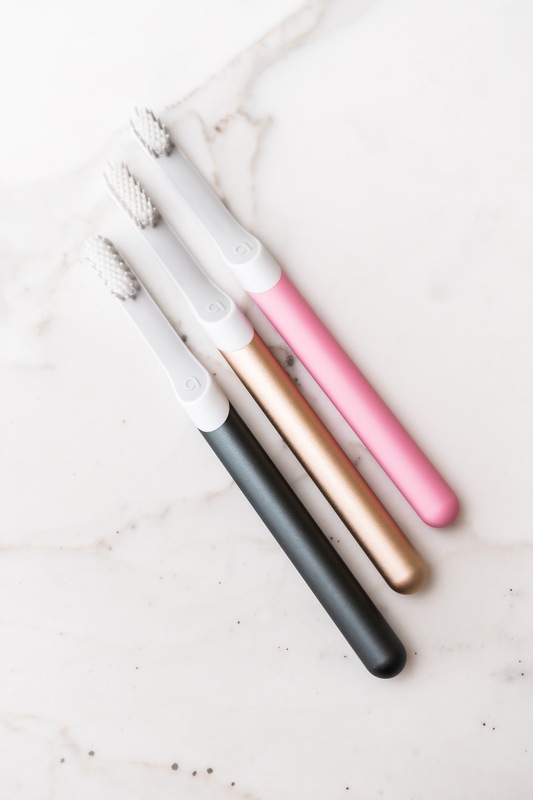 It really is the chicest toothbrush I’ve ever seen ;). I was surprised when I found it was a sonic brush but made me love it all the more! There is a guiding two-minute timer that will pulse every 30 seconds to remind you to switch sides while brushing! The features on both the adult and kids brushes are exactly the same which helps your kids establish a “grown up” routine just like you and they love it! I love that the bristles are soft and the sonic vibrations are gentle enough for sensitive gums, especially my kids. 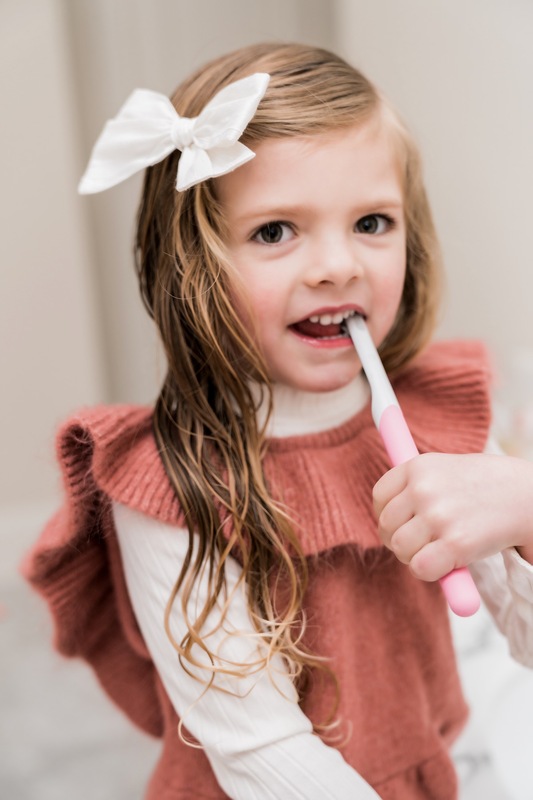 One of my favorite features of the kids brush is that the toothbrush is waterproof and “grippy”, so if the handle gets wet it’s not going to slip out of their little hands! 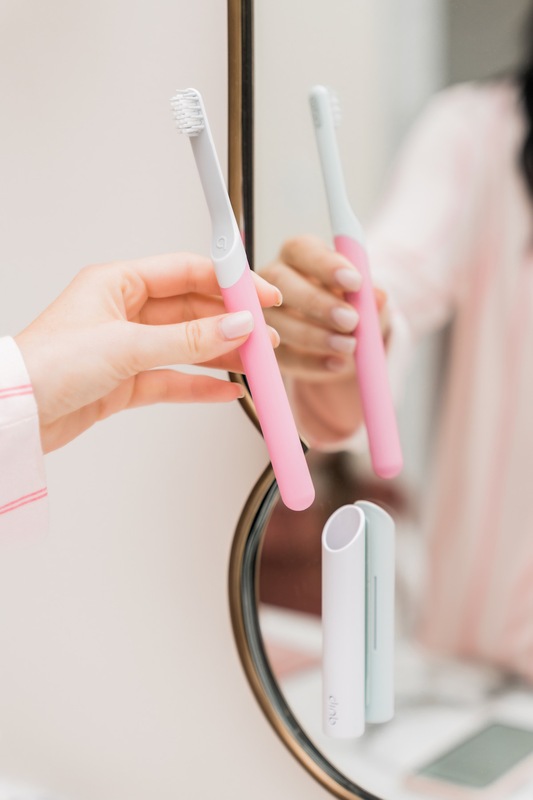 I know when we think about electric toothbrushes we think of how expensive they are, and NO one wants to spend almost $70.00 on a toothbrush for their child! 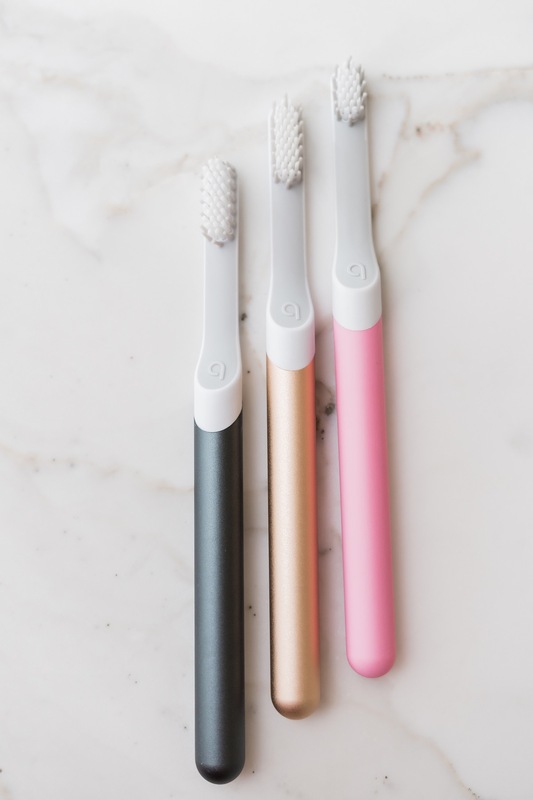 The quip toothbrushes start at just $25.00, which is the perfect price point for a product that is going to help you and your child develop healthy habits! You can also sign up for the refill subscription for the toothbrush heads to be automatically delivered and it’s only $5.00 every 3 months with free shipping! I think these toothbrushes are well worth it and I think that Isla Rose and Jackson agree too! Brushing our teeth has turned into a family affair in our household and I couldn’t be happier about it! I completely recommend getting quip for your entire family. You can also get a $10 refill credit by going to www.getquip.com/rachelparcell. I hope you all love them as much as my family does!! I am definitely impressed with the size and price of this toothbrush! For sure going to look into it! Those seem amazing and super cheap! I’m definitely gonna check them out! Oh this design is so slim and sleek, i really like that, this sounded like a wond product to try. Great featured! I have been wanting/needing to get electric toothbrushes for my kids. Definitely going to order these! thank you for sharing!